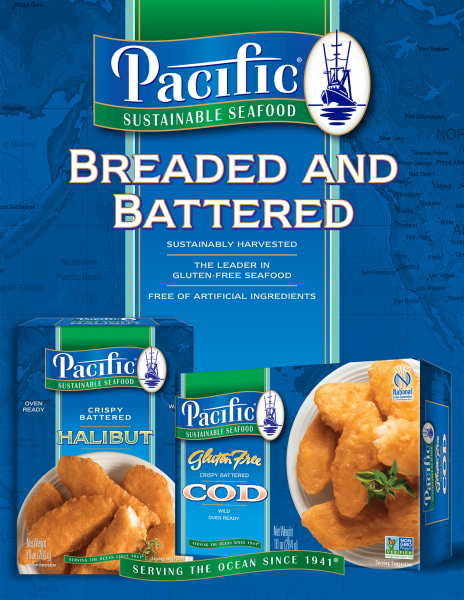 Pacific Seafood offers a variety of different flatfish species, including Rex, Dover, Petrale, and Rock sole. 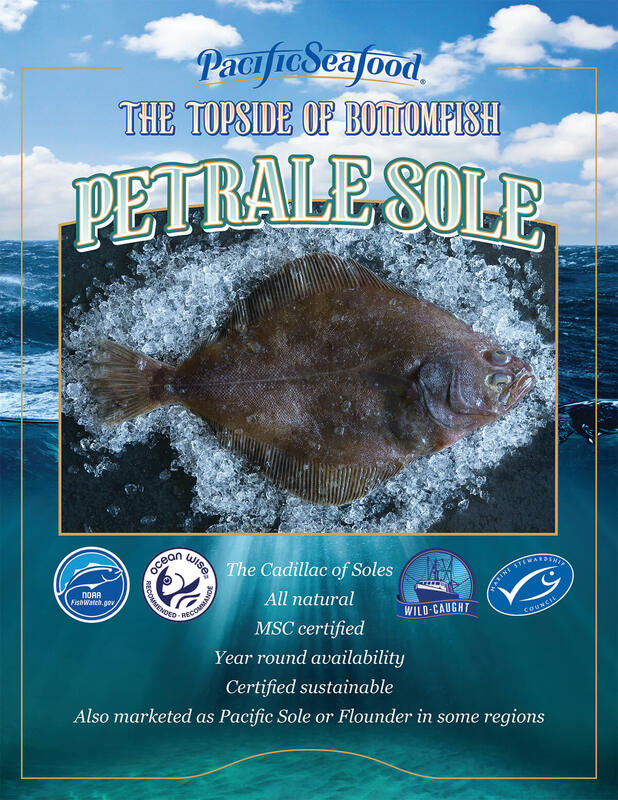 Sustainably harvested from waters off Baja California to the Bearing Sea, many varieties of sole are recognized by Monterey Bay Aquarium Seafood Watch as being a green Best Choice for sustainability and are also MSC certified. 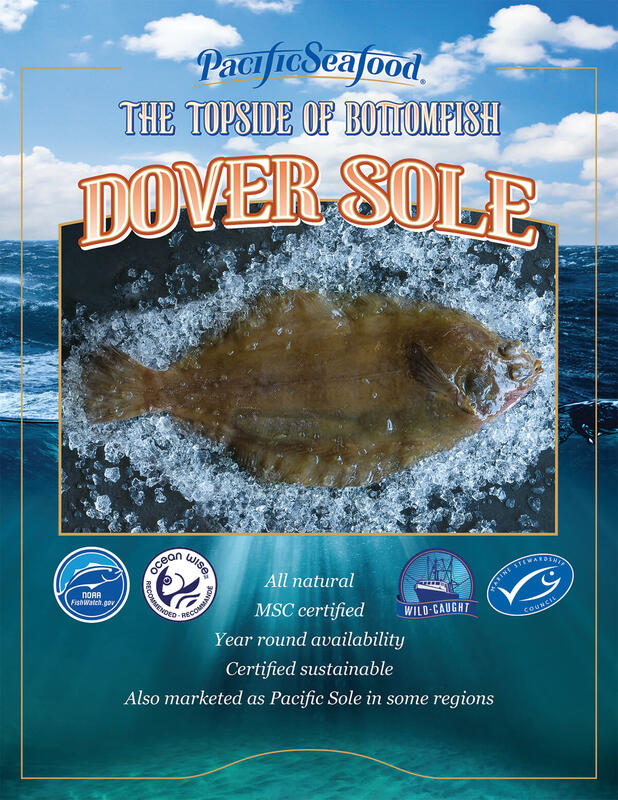 Sole not only is a product that meets Pacific Seafood’s high standards of quality, sustainability, and traceability; it aligns with consumers’ demands for seafood that is locally sourced in a sustainable manner. This popular and versatile, low-calorie flatfish is highly adaptable to both lighter eating styles and interesting ethnic favorites with its mild flavor and tender, yet meaty texture. 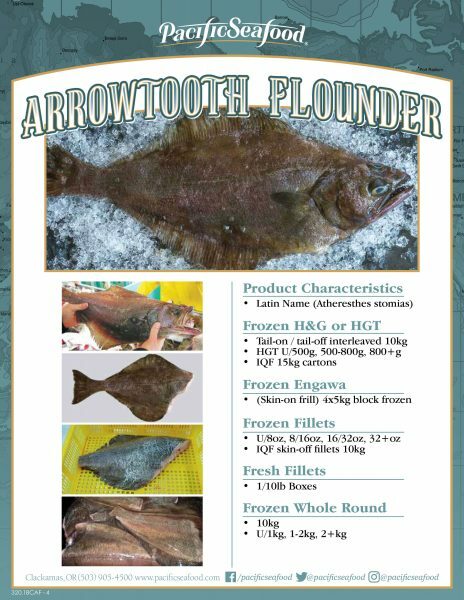 Most commonly marketed as skinless, boneless fillets, it is often ready to use, boasting quick, easy preparation with no waste, at a cost that is very reasonable. 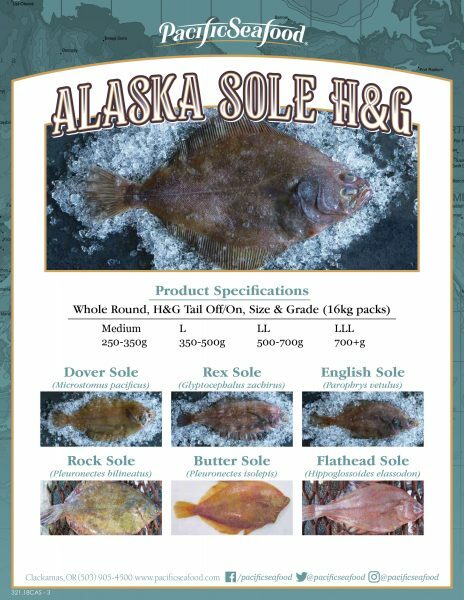 The best cooking methods require minimal handling, such as poaching, steaming, and sautéing, making sole ideal for today’s health-oriented consumers.